Asiana Airlines is beginning a pilot chatbot service through KakaoTalk and Facebook, according to the airline Monday. Passengers flying Asiana will be able to check information in 11 categories, such as reservations, keep track of departures and arrivals and find information about mileage points through the chatbot service, which is available in both Korean and English. The service was developed using Microsoft’s cloud platform Azure and the artificial intelligence-based language service LUIS. 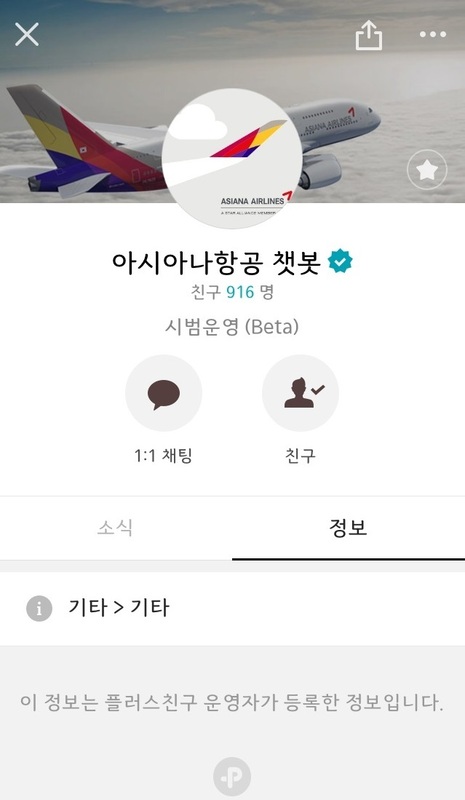 “We expect the chatbot service to significantly reduce the wait times for passengers who phone our call center for routine information,” said Asiana Airlines Vice President Nam Ki-hyung.